These peregrines are nesting in a tower above Leamington Spa’s town hall where they can be viewed from two camera angles. They’re sitting on eggs at the moment but once they’ve hatched Leamington Spa’s pigeon population had better be on their guard. A peregrine falcon incubates its eggs. More peregrine webcams can be found in Leicester, Sheffield and Rochdale. 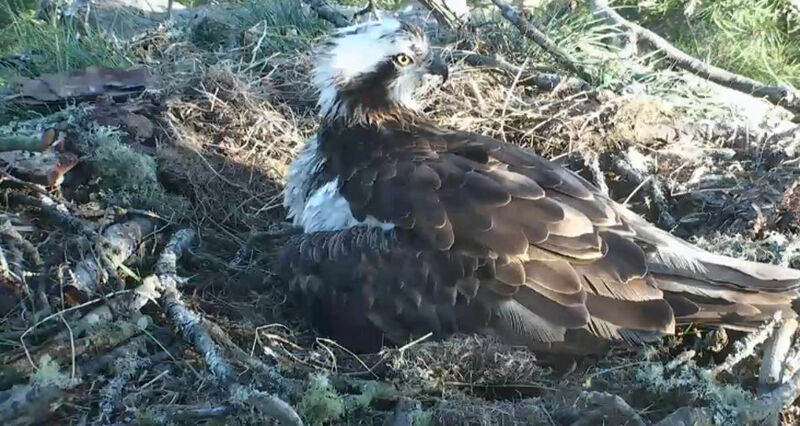 Not only does this feed feature ospreys but also sound, this means that anytime of the day or night you can tune in and listen to the sounds of the Scottish highlands. Ospreys were wiped out in the UK due to egg collecting but naturally returned to Scotland from Scandinavia in the 1950s. In England they have only been back nesting since 2001 following an absence of over 150 years. This osprey is showing the classic finger like feathers across its back. More ospreys at Rutland Water. A Bat Roost in Essex. There’s always plenty of comings and goings in the roof of Hanningfield Reservoir visitor centre in Essex. Expect lots of fidgeting, scratching and jostling for position from these restless soprano pipistrelle bats. Personal space is not a concept familiar to your average soprano pipistrelle bat. 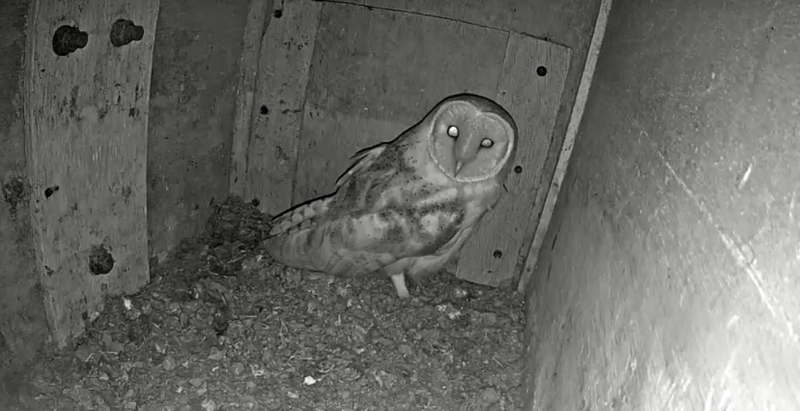 Also in Essex you can watch the daily enterprise of this pair of barn owls. They’re not always at home and there are no eggs yet, but lots of careful nest preparation is underway along with plenty of mutual preening. Ever get the feeling your being watched? 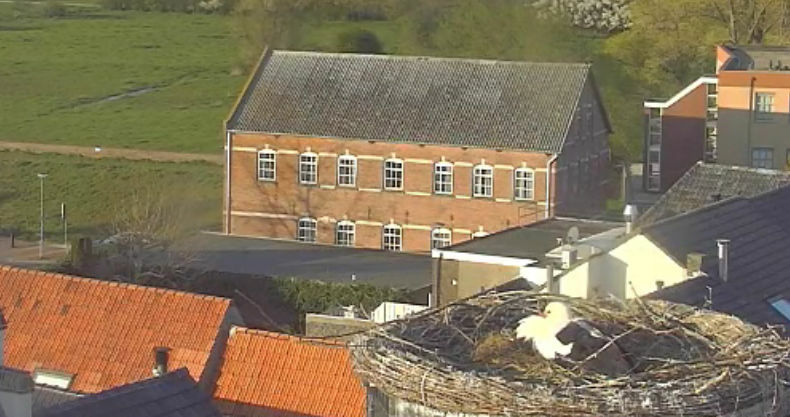 If you fancy something slightly more exotic then why not try this webcam from Holland featuring white storks. 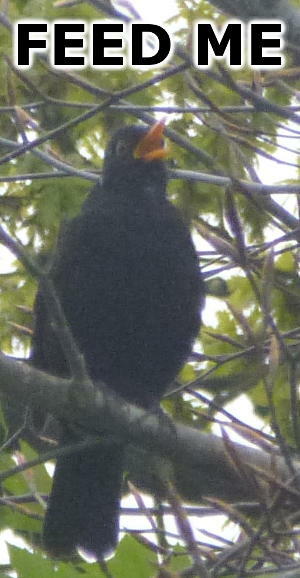 There are fine views of the town behind this nest and great footage of these majestic birds day and night. This white stork sits on its nest before a classic Dutch vista.